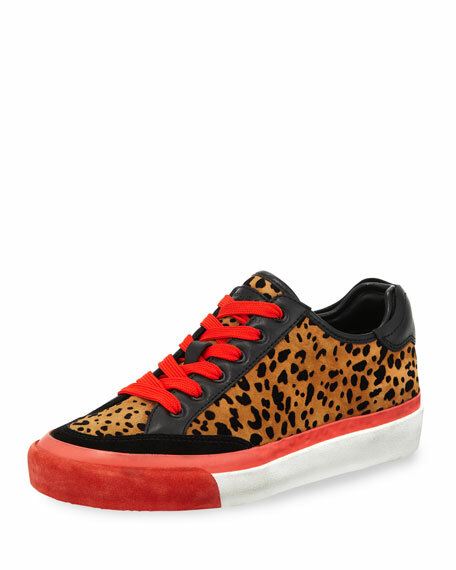 Rag & Bone low-top sneakers in cheetah-print flocked suede with leather trim. "RB Army" is made in Italy. 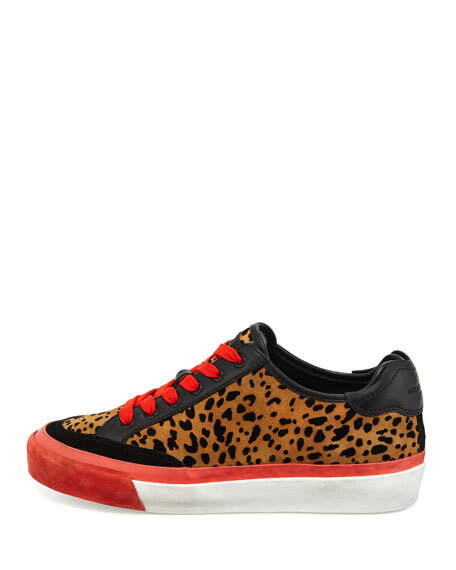 For in-store inquiries, use sku #2677002.